According to Amazon, there are over 7,000 books about recruiting. Since at the rate of one book per day it would take almost 20 years to read them all, I thought it might be useful to winnow the list down to the must-read essentials. Why it's a must-read: Yes, this book is about baseball recruiting, but it contains the key to hiring effective teams without paying money for superstars. 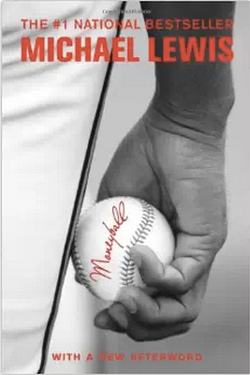 It's also a fun and easy read, even if you're not all that into baseball. Best quote: "Over the past three years, the Oakland A's had paid about half a million dollars per win. The only other team in six figures was the Minnesota Twins, at $675,000 per win. The most profligate rich franchises—the Baltimore Orioles, for instance, or the Texas Rangers—paid nearly $3 million for each win, or more than six times what Oakland paid. Oakland seemed to be playing a different game than everybody else." 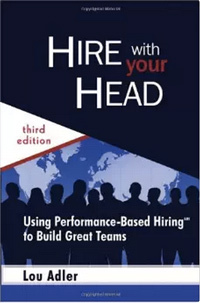 Why it's a must-read: This book is directed towards hiring managers rather than recruiters. However, since recruiters must often coach hiring managers on how to make good decisions, this serves as a "train the trainer" manual. Best quote: "To manage productively, you must first hire effectively. If you make poor hires, the odds are that those hires will not be productive individuals or team players willing to work for the success of your department (and therefore your success). Hiring effectively is at the core of getting work done through others—it is the foundational skill of successful management. If you cannot hire effectively, you will never be able to manage productively, and you will fail as a manager." Why it's a must-read: Adler approaches hiring from the perspective of a long-time recruiter who has seen recruiting undergo massive change. He believes that hiring practices need to be systematic in order to adapt to those changes. His approach is thorough and straightforward. Best quote: "Ongoing demographic changes, global expansion, the Internet, and the great dot-com boom and bust changed the hiring rules forever. This resulted in a cultural shift of major proportions. Changing jobs every few years no longer carries the stigma it did pre-2000. Company loyalty is no longer a hallmark of character. It is no wonder, considering that reductions in pension plans, the shifting of the cost of health care to the employee, and the outsourcing of whole departments have forced each employee to look out for him- or herself. Companies no longer set the hiring rules, the best people do. While this has always been true, evidence abounds that this shift is accelerating." 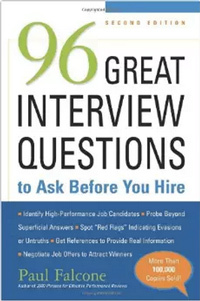 Why it's a must-read: You'd think from the title that this book is just a checklist of typical job interview questions. However, what Falcone presents is an entire philosophy of interviewing that is the exact opposite of the canned question approach. It's full of examples and explains why these questions work and how to interpret the answers correctly. 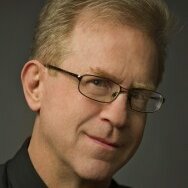 Best quote: "Behavioral questions ensure spontaneity since candidates can't prepare for them in advance. Rehearsed answers to traditional queries go by the wayside in this ad hoc interviewing environment where candidates tell stories about their real-life performance. And because they tie responses to concrete past actions, they minimize the candidate's inclination to exaggerate answers." 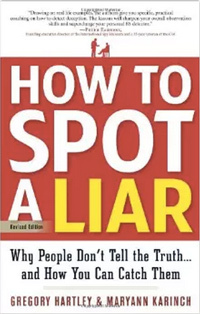 Why it's a must-read: Like all books about spotting liars, there's a little bit of snake oil here. After all, even lie detectors can be gamed. However, many people—including some in law enforcement—swear by these techniques, so they're worth learning and trying. Best quote: "When you learn how to combine the tactics of interrogation effectively—baseline, read body language, minimize, question effectively—you will be unique... When you understand the mechanics of stress and master the techniques to manipulate someone's fears and dreams, you will be powerful." Why it's a must-read: Because of our insanely rapid pace of technological change, there is a larger cultural difference between Millennials and Baby Boomers than there was between the Boomers and the Mad Men generation that raised them. Recruiters must navigate between these two cultures and help both generations to work together. 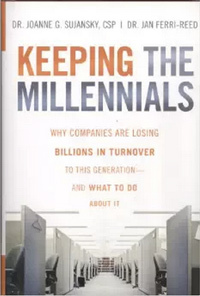 Best quote: "The Boomers are leaving a workplace that has been designed around them, which is now at odds with the work expectations of the Millennials who will replace them. The clash of workplace cultures is creating puzzlement, consternation, and havoc at the companies that now find themselves faced with the need to adapt their cultures to the work styles of Millennials." 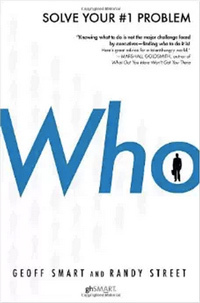 Why it's a must-read: The authors of this somewhat mysteriously named book conducted extensive research into how human resources department function effectively inside corporations. The result is not only eye-opening, it's practically a manifesto on why recruiters have never been more valuable than they are in today's slightly crazy corporate world. Best quote: "These 'who' mistakes are pricey. According to studies we've done with our clients, the average hiring mistake costs fifteen times an employee's base salary in hard costs and productivity loss. Think about it: a single hiring blunder on a $100,000 employee can cost a company $1.5 million or more. If your business is making ten such mistakes a year, it's pouring $15 million down the drain annually." Why it's a must-read: One of my recent posts was about how Chipotle uses attitude as the main determinant for hiring. 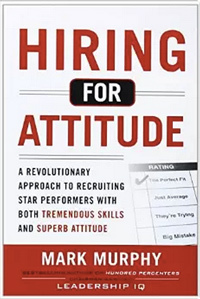 This book explains how the hiring and interview process must change so that companies can weed out candidates whose attitude will create failure. 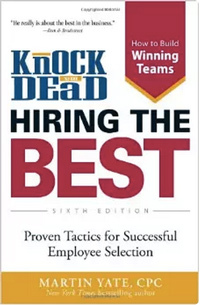 Best quote: "When you see your colleagues get fixated on hiring people who can 'do the job' and who have the 'right skills' and enough 'talent,' you [should] explain to them that attitude, not skill, is the top predictor of a new hire's success or failure. Because even the best skills don't really matter if an employee isn't open to improving or consistently alienates coworkers, lacks drive, or simply lacks the right personality to succeed in that culture. Skills still count, but the data overwhelmingly tell us that attitude is the hiring issue that should demand the most focus."